The standard practice squad salary is $7,600 a week, but players in high demand around the league often get much more than that, sometimes approaching what their salary would’ve been if they had made the 53-man roster. Seahawks seventh round quarterback Alex McGough didn’t make the team after Seattle traded for Brett Hundley, but he’ll be making $28K a week according to Tom Pelissero of NFL Network (Twitter link). Although the Broncos wanted De’Angelo Henderson back on their practice squad after cutting him, the Jets offered him $30K a week to steal him away according to Mike Klis of 9News. Lastly, the Vikings paid offered $20K per week to poach tight end Cole Hikutini from the 49ers according to Chris Tomasson of the St. Paul Pioneer-Press. “Moderate NFL owners are interested in a potential agreement” to waive discipline for players who protest the anthem if the players union will officially endorse standing for the anthem according to Mark Maske of the Washington Post. It’s unclear how close any such agreement might be, but it’s an interesting development. Speaking of the Vikings, the team worked out a slew of players today, with wide receivers Breshad Perriman, Aldrick Robinson and Teo Redding, and offensive linemen Hroniss Grasu, Wesley Johnson, and Bryan Witzmann all coming in for workouts according to Courtney Cronin of ESPN (Twitter link). Minnesota has dealt with a ton of offensive line injuries, so it wouldn’t be surprising to see them add one of these guys. The Browns finally ended the mystery of who would replace Joe Thomas at left tackle today when they announced it would be undrafted rookie Desmond Harrison protecting Tyrod Taylor’s blindside per Nate Ulrich of the Akron-Beacon Journal (Twitter link). Harrison was always a talented player, but went undrafted because of off-the-field concerns. 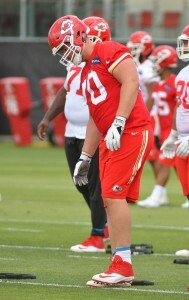 The Chiefs announced that they have signed lineman Bryan Witzmann to an extension. The new deal adds one year to his contract and will keep him in place through the 2018 season, Terez A. Paylor of the Kansas City Star hears. Witzmann missed the Cowboys’ 53-man cut last September but he was quickly scooped up by the Chiefs on waivers. He didn’t do much on the field for KC last year, appearing in just four offensive snaps and 49 special teams snaps. Apparently, the Chiefs like what they’ve seen in practice. 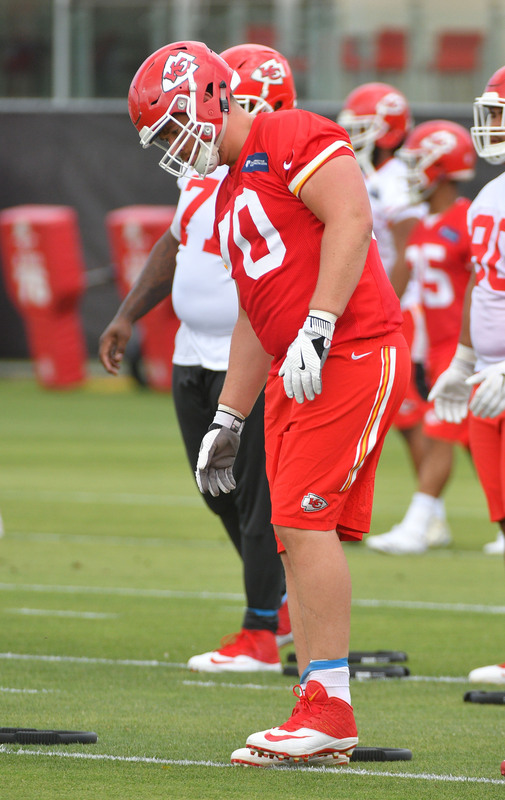 The 6’7″ guard/tackle split some first-team reps at left guard with Zach Fulton during organized team activities this spring, Paylor notes, so he could be a bigger part of the team’s plans going forward. Parker Ehinger is still slated to start at left guard, but he is still recovering from a serious knee injury. Witzmann could be called upon to help fill the void on the interior in addition to snaps at tackle. Terms of the deal are not yet known, but we do know that Witzmann was originally slated to carry a cap number of $540K in 2017. Listed below are the Sunday roster moves for the four AFC West teams. Following the 53-man roster cutdown deadline yesterday, many teams will make slight tweaks to their rosters, claiming players off waivers or signing guys who clear waivers. Those transactions for the Broncos, Chiefs, Raiders, and Chargers are noted below. The Redskins parted ways with tight end Michael Cooper, Aaron Wilson of the Houston Chronicle reports (on Twitter). Cooper made 19 career catches with the Hoosiers from 2012-15. Following the Panthers‘ signing of Mike Scifres on Tuesday, the team cut punter Michael Palardy, Wilson tweets. A UDFA in 2014, Palardy spent time with the Raiders and Panthers in his career. The Buccaneers waived rookie UDFA wideout Dez Stewart off their injury reserve with a likely injury settlement, Greg Auman of the Tampa Bay Times reports (on Twitter). The Cowboys announced that they have signed former Olympian (and hopeful defensive lineman) Lawrence Okoye. In addition to the former discus athlete, Dallas signed linebacker Brandon Hepburn and tackle Bryan Witzmann, Wilson tweets. To make room, defensive end Caleb Azubike, linebacker Jerrell Harris and tackle Justin Renfrow were waived, Wilson tweets. A former Lions seventh-round pick in 2013, Hepburn has not seen action in a game but spent time with the Lions and Eagles in the past three years. He resided on Philadelphia’s IR in 2015. Okoye represented Great Britain in the 2012 London Summer Games, advancing to the event’s final round and finishing 12th. The Steelers cut pass-rusher Kevin Anderson and signed linebacker Mike Reilly, Wilson tweets. Originally a UDFA with the Browns in 2015, Reilly didn’t make the roster out of training camp and signed a subsequent reserve/futures deal with the Cardinals at this year’s outset. However, the Cards released him in May after signing its new crop of UDFAs.